(Italy) – Gold Moon chandelier is the new creation from Catellani & Smith, in which gold colour communicates a message of warmth and refinement in a space. 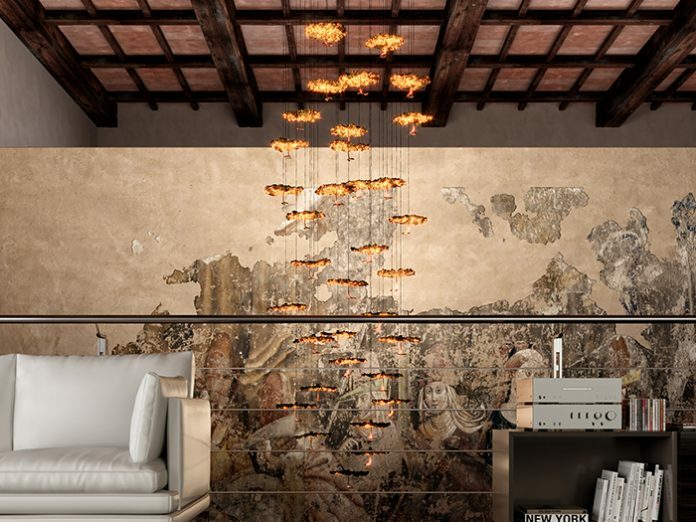 Similar to a cascade of falling lights, this spectacular lighting composition is an eye-catching element in the context of contract-projects, hotels and private residences. The fixture is composed of a set of irregular discs, suspended from a satin-steel base by thin cables of different lengths. The discs have a diameter of 20cm and are covered by thin gold-coloured leaves. They ‘host’ precious copper curls and small gems of glass, provided with LED light sources. The interchangeable LEDs are IGBT/Triac dimmable and therefore the intensity of light can be adjusted, to get the most suitable lighting. 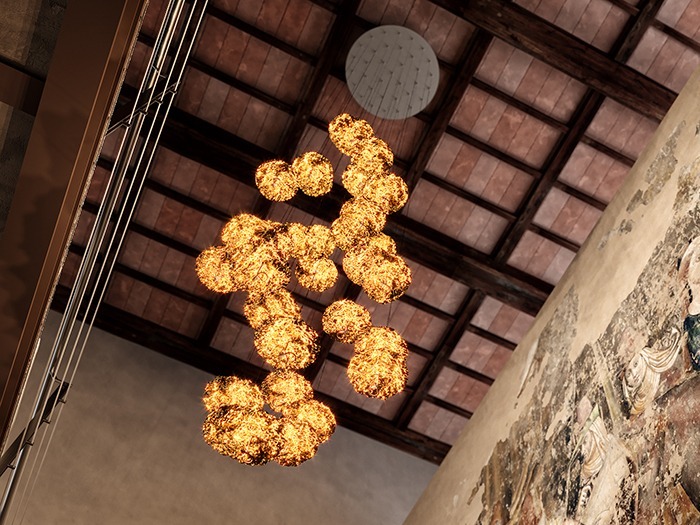 Custom versions of the Gold Moon Chandelier are also available, to meet diverse requirements: the ceiling base is available in various diameters, according to the number of pendants, which may vary starting from a minimum of 20 elements.